Shane Ohly explains how the final day start will work here. The men’s race is equally close, but not quite so straightforward. On today’s run, it was defending champion Jim Mann who was quickest, setting a time of 07.03.26 – which is 56 minutes quicker than he ran on the same day in 2015. Scotney finished in 07.21.26 so still holds a lead of just over 8 minutes, but he was feeling the heat, and a painful knee. “It was so hot,” he said, “and I’m a bit sunburned as well.” He had started 90 minutes later than Mann, so was in the heat of the day longer, but his main concern was the knee injury. Nonetheless, Scotney has confirmed that he will lead off the chasing start in the men’s race at 8:00am tomorrow. In third place, Neil Talbott is well over two hours behind the leaders. Mann comments: “I was just running on auto. I was coming down into a support point and thinking about that and went the way I always go. I just wasn’t looking at the map when I should have been!” Mann added that he’ll take extra care tomorrow. Race director Shane Ohly explains the situation with Jim Mann here. 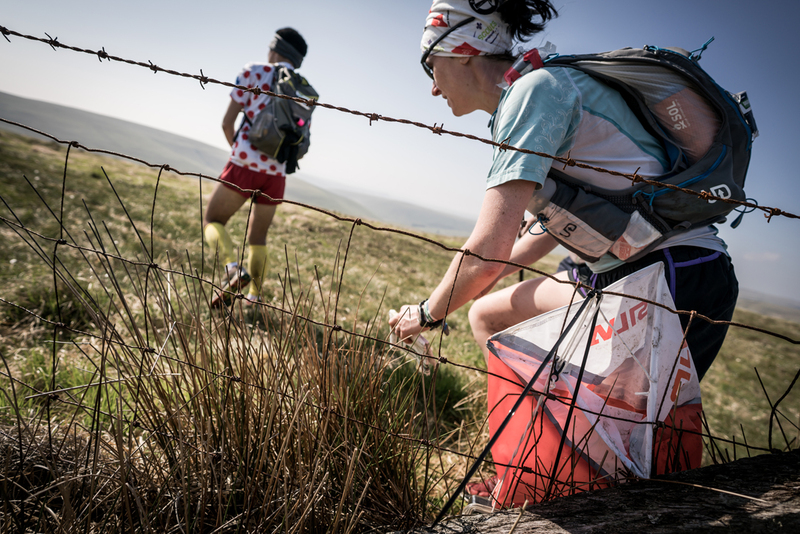 The heat, and cumulative effect of four days of mountain running continued to wear down the field and several runners needed medical attention after crossing the finishing line. However, the day four campsite offered the welcome sight of a pub within 100 metres. Many runners took the opportunity to ‘rehydrate’ there. With one day to go, everything is to play for and the 2017 Berghaus Dragon’s Back Race could deliver the event’s most exciting finish to date. The final day challenges runners with 63km and 2,200m of climbing, with a significant distance on trackless terrain. The route includes a sting in the tail, with a climb to the summit of Fan Brycheiniog and Carreg Yr Ogof on the Black Mountain. It all starts early on Friday morning.